In August 1959 Morris and Austin launched brand new cars called Mini-Minor and Austin Seven respectively (same car, different names, and this isn’t the place to talk about Riley and Wolseley models). They were a brilliant design, with a surprising large interior due to having an engine mounted sideways across the front, with the gearbox in the sump and driving the front wheels. All four wheels were pushed out to the corners. Though aimed at low-cost motoring for the masses the Mini was a huge success with celebrities world-wide, so somewhat oddly, became a status symbol. Minis were made in many countries, including Australia, and remained on the new car market until, five million vehicles later, it ceased production in 2000. The great majority were two-door sedans, but station wagons, utes, panel vans and beach buggies (Mokes) were also built. BMW took control of the financially strapped Rover Group (formally British Leyland) in 1994 and when the original model was discontinued it introduced a new, much larger, Mini in 2001. 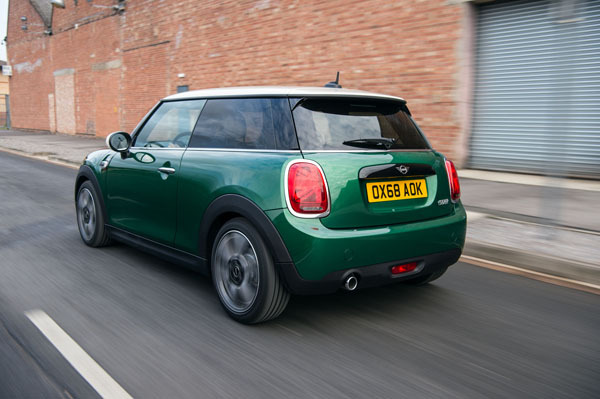 To celebrate the 60th anniversary BMW has announced the MINI 60 Years Edition will be available from March 2019 as a MINI 3 Door and MINI 5 Door, each with four engine variants. That’s the good news, the bad news is that it may be sold only in the UK, with none coming to Australia. 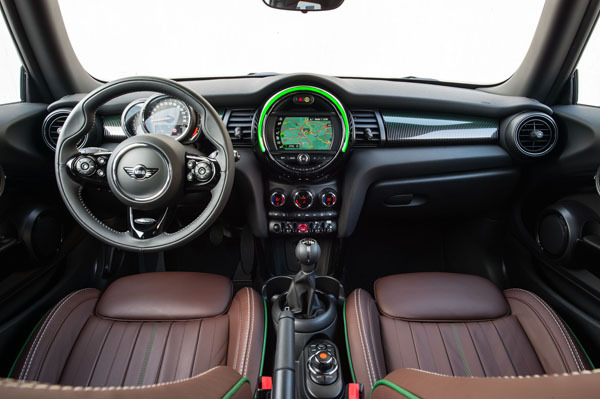 Sports car designer John Cooper developed ideas variants of the Mini with more powerful engines. Resulting in an exceptional career on racing circuits and rally tracks. They took out the Bathurst 500 in 1966 and had three outright victories at the Monte Carlo Rally during the ‘60s. 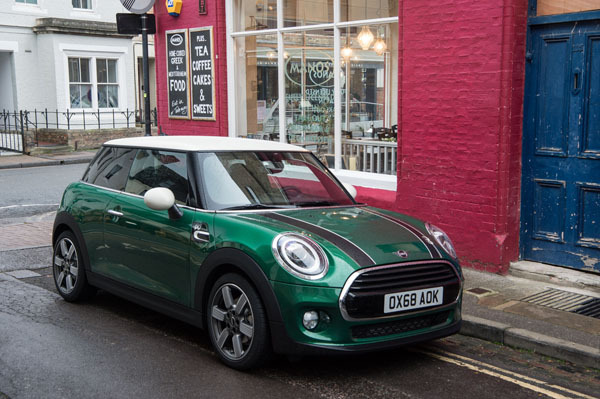 The exterior paint finish in British Racing Green seems certain to be the most popular, but Midnight Black metallic, Moonwalk Grey metallic, Melting Silver metallic and MINI Yours Lapis Blue are alternatives. The chosen body colour is combined with a paint finish in Pepper White or Black for the roof and exterior mirror caps. Bonnet stripes with a specific anniversary design. A 60 Years logo appears on the left- hand bonnet stripe but also on the side scuttles of the turn indicators and on the door sill finishers at the driver and front passenger doors. Inside are model-specific interior trim finishers, front headrests and steering wheel. The anniversary design can also be seen in the LED logo projection which is visible when the driver’s door is opened. Like to see the MINI 60 Years Edition being sold in Australia? Perhaps pick up the phone and hassle your local dealer. And don’t forget to remind them of the Mini that won Bathurst!